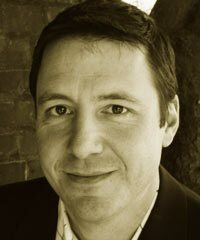 Mike Wallace is the Director of the Global Reporting Initiative’s (GRI) Focal Point USA. Nonprofit GRI promotes economic sustainability and provides all companies and organizations with a comprehensive sustainability reporting framework. More than 80 percent of the Global 250 use GRI when they report on sustainability, making it the most widely used sustainability reporting framework in the world. Launched in January 2011 at the New York Stock Exchange, GRI’s Focal Point USA is responsible for supporting the growth and quality of sustainability reporting in the US. Wallace has almost two decades of international experience advising corporations, nonprofits, and government agencies in the development and implementation of sustainability programs. He is a recognized expert in the field, with a unique specialization in the intersection of sustainability and corporate governance.